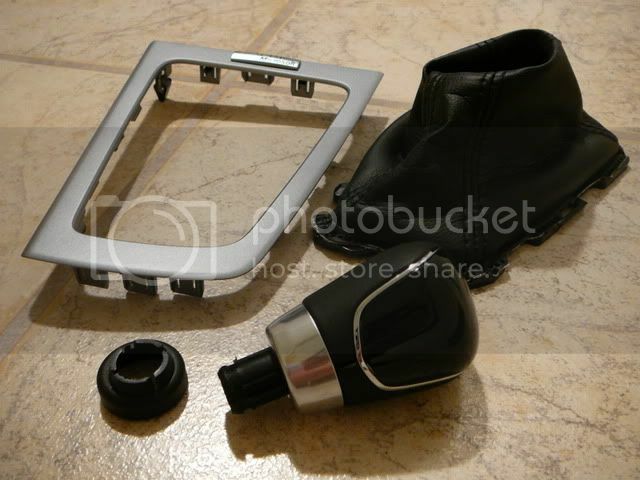 First, remove the trim piece around the base of the shift boot. 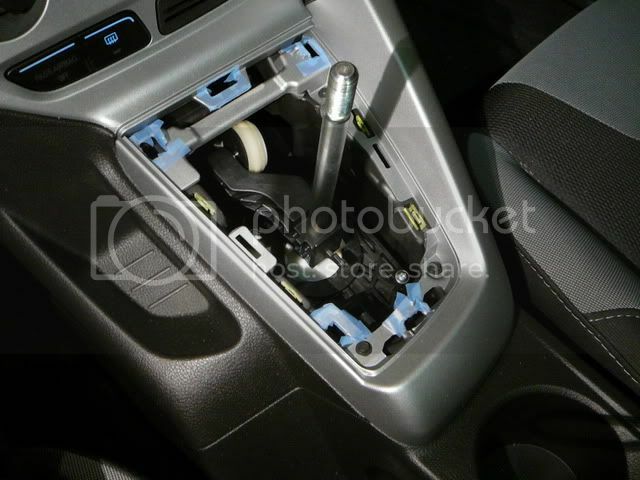 There are clips all around it, but the ones that really hold it down are located in three of the four corners (The corner missing one is the rearward passenger side, next to R). By gripping the trim piece through the boot, some firm tugs and pulls should see them pop out, one by one. I shifted through a few gears to reposition the shifter, giving the boot extra slack when needed so that I didn't stretch it. 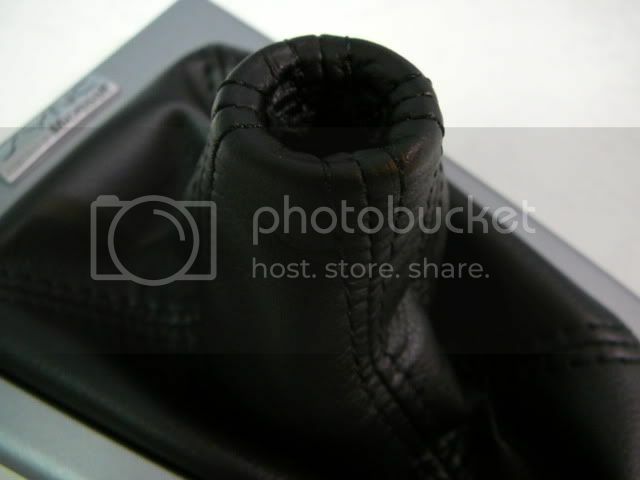 For undoing the knob, grip the top of the boot to prevent it from spinning and start unscrewing. It can take a fair bit of effort to get the knob to start turning. The boot clips to the underside of the trim. It's very easy to remove and clip back in - the boot itself is pretty much permanently mounted to the plastic base that allows it to clip in though. 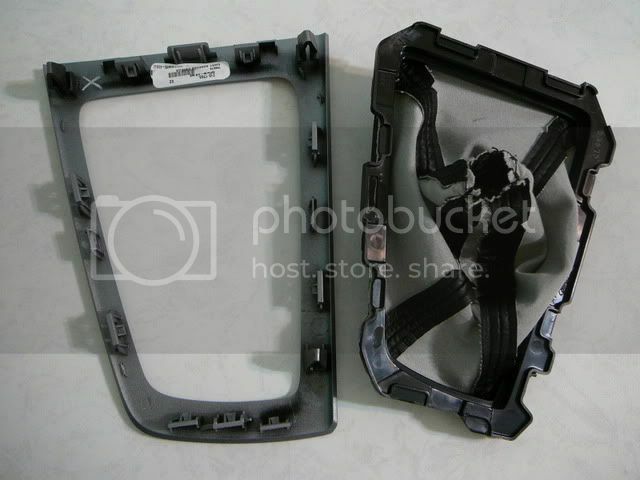 An aftermarket boot would probably have to be attached to this base (With the original boot cut out) if you're looking for a quality, OEM-looking install. After figuring out the removal and installation procedure, next was to measure the thread pitch. I'm brand new to Focuses, so I didn't know if it's be the same as previous generations or not. I measured it as 12 x 1.25. So anyway, that's what I discovered in my trial tonight. Now that I know how, and the thread pitch, I can go pick a nice new shift knob for the Fofo. Hope this helps! Very nicely done, great pics. Thanks for sharing! Awesome write up, but I am stuck with removing the shift knob from the boot. 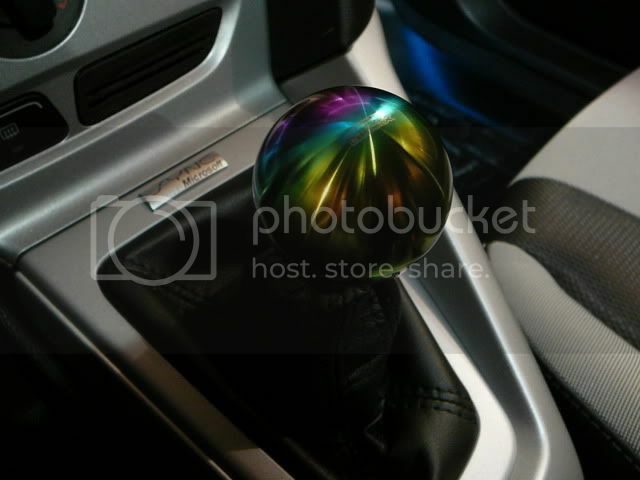 How do you unclip the shift knob from the boot? I measured it as 12 x 1.25. P.S. I just added the Blox teardrop knob to my Christmas list. Last edited by BetaDnB; 11-30-2011 at 12:15 PM. 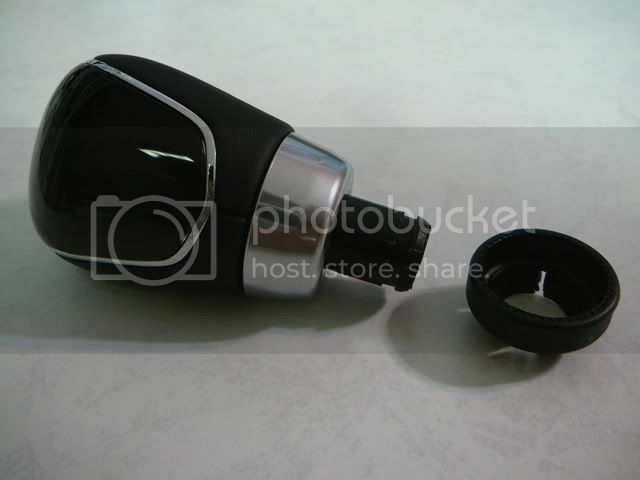 ihdillon: I assume you have it apart and can see the clip that sits under the boot, holding the knob in place? Note that there are four tabs which clip in place and secure the knob; using two small flathead screwdrivers (Read: model / R/C size), I worked them between the knob and two of the tabs, prying them open. A couple of good yanks and the knob popped out. The tabs are very stiff, so don't be surprised if you have to really work at them for a minute. BetaDnB: A Blox knob is on my list now too. I'm waiting on a local shop to get the specific one I want in, so that I can go treat the Focus - I mean, myself - to a little gift. Thanks Twenty! I installed a shift knob this morning! Added a new shift knob today! Last edited by ihdillon; 12-01-2011 at 11:22 AM. You're welcome! Looks good, I can't wait to pick mine up. Installed! My only issue was the front right clip. I couldn't get it to come out all the way. The retaining nut that came with the knob makes it a little taller, so the boot gets a bit tight, but I don't think tight enough to pull it out of gear. The remedy? Short shifter. HURRY UP STEEDA! Looks good! I went with a Blox as well. 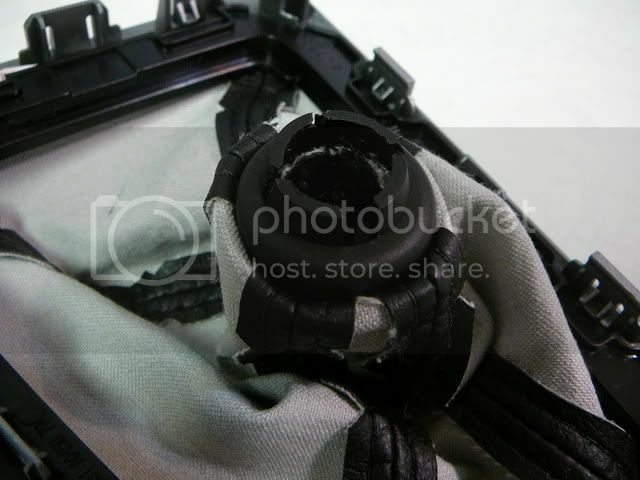 I've actually modified how I have my shift boot. I'll post a pic tomorrow. I have a feeling I'll be taking my knob off and keeping it with me in certain areas.